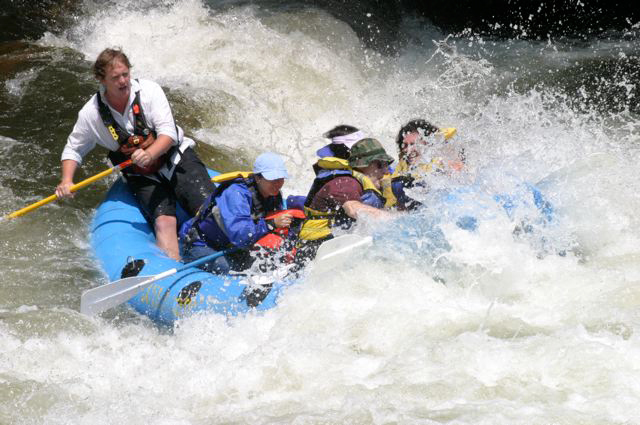 America's full of great mountain towns where the people are friendly, the atmosphere is authentic "country," and the outdoor recreational opportunities are almost limitless. 10 - BEND, OREGON: Most people - even in the U.S. - don't associate the heavily-forested, rainy, mountainous state of Oregon with the word "desert." But Bend, with a growing reputation among outdoor enthusiasts, is actually a "high-desert" town, with dry weather and snow-capped mountains. The days are sunny and the nights are cool, and there are incredible mountain-biking, hiking, and horseback trails, along with golf, fishing, rafting, and skiing and snowboarding on Mt. Bachelor. And Bend hasn't yet been discovered by the "In" crowd, giving it a laid-back openness and authenticity not found in a lot of other places. 9 - WOODSTOCK, VERMONT: This Woodstock is not the site of the famous 1969 rock festival; that happened in neighboring New York State. But this Woodstock is a picturesque mountain town with a lot to offer. Country general stores and open-air markets - no less than six of them. Unique little shops with wooden floors where a bell rings as you walk in. 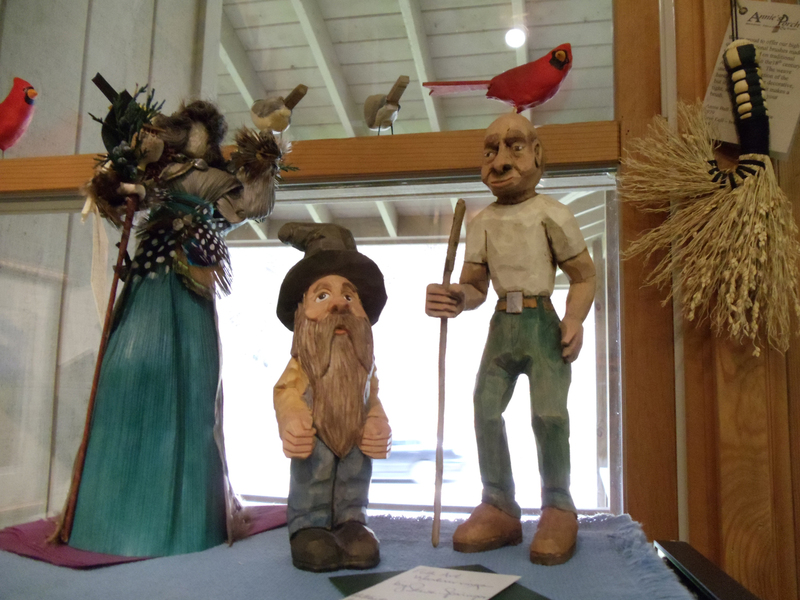 Unusual art galleries and antique shops. Intimate little eateries. A variety of historic lodges and bed-and-breakfasts. Farms and you-pick-'em orchards. Great skiing at nearby Killington, and great hiking everywhere. And perhaps the best maple syrup and maple-sugar candy in America! 8 - LAKE GEORGE, NEW YORK: Located in upstate New York's Adirondack Mountains, the town sitting on Lake George, if you approach it at night, first appears as a glowing jewel set amidst the dark surrounding peaks. The Adirondacks are much as they were back when Revolutionary War battles were fought here - scenic, pastoral, and gentler-paced. Accommodations range from bed-and-breakfasts (such as the Lake George Bed and Breakfast) to log cabins to historic lodges (Glenmoore Lakeside Cottages & Lodge). Outdoor activities start with ATV-ing and biking and hiking and golf, and continue on to fishing and horseback riding and rafting and hot-air ballooning. And a plethora of winter sports, of course. 7 - GATLINBURG/PIGEON FORGE, TENNESSEE: The neighboring towns of Gatlinburg and Pigeon Forge are a great family destination. In fact, they may have more attractions per capita than anywhere in America. A short list would include Ober Gatlinburg amusement park, the world-class Aquarium of the Smokies, native-daughter Dolly Parton's spectacular Dollywood amusement park, and Dolly's Dixie Stampede, where you eat good ole Southern cookin' with your fingers while a colorful rodeo/circus whirls around below you. Yet, you're also right at the gateway to Great Smoky Mountains National Park, and to stunning panoramas such as Cade's Cove. 6 - TAOS, NEW MEXICO: Taos is a little village of 6,000 souls with a world-class art scene, a Native pueblo, recreational activities in magnificent panoramas, and a spiritualism - enhanced by the unique natural light - found nowhere else. 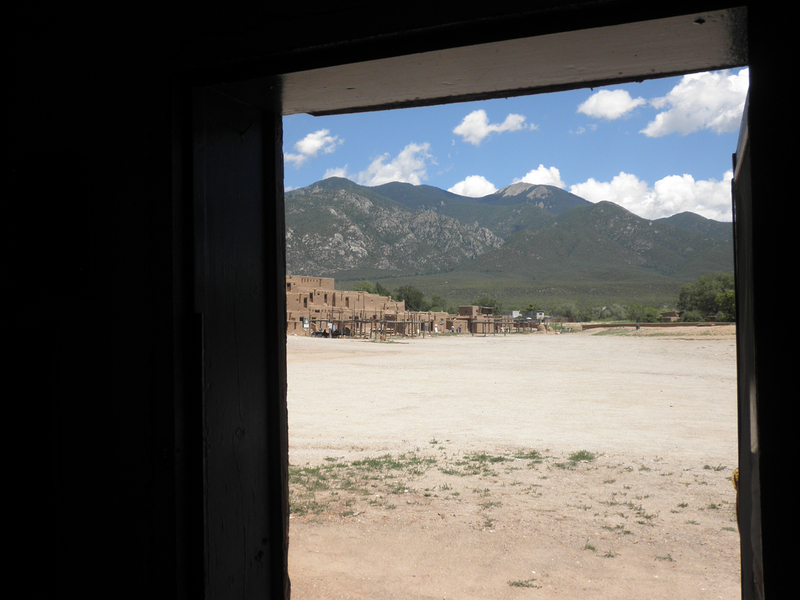 Taos Mountain - "the mountain" to locals - can be seen from just about anywhere in town; to the Indians on the Taos Pueblo, it's the source of life itself. The bed-and-breakfasts here (such as Hacienda Del Sol) are authentic Southwest haciendas, filled with art and historic artifacts. 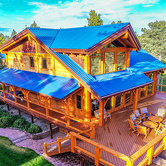 A short drive from town is the Taos Ski Valley, where you'll find a European-style village with a clock tower and interesting shops, and great hiking, biking, and horseback riding, as well as excellent lodging options, such as the luxury rentals at Snakedance Condos. Up here, you can hike up to Williams Lake, an ice-blue alpine lake with a waterfall, and furry little marmots who'll have no qualms about coming right up to you if they smell any food. And if you're feeling really adventurous, you can climb Wheeler Peak, at 13,000 feet the highest peak in New Mexico. 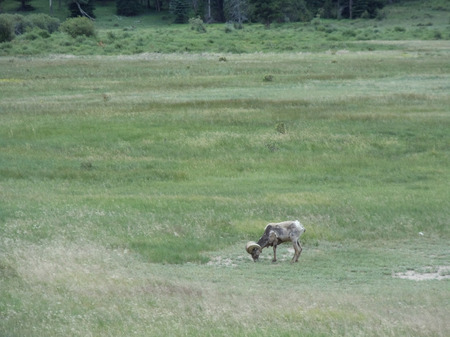 5 - WINTER PARK, COLORADO: You'll run out of time long before you run out of things to do here. In winter, there's cross-country skiing, dog-sledding, hot-air ballooning (yes, in winter!) snow-cat skiing, snow-mobiling, ice skating, snow-shoeing, skiing, snow-boarding, sleigh-riding, tubing, and sledding. In summer, there's mountain-biking, hiking, rafting, climbing, boating, camping, fishing, horseback riding, kayaking, and zip-lining. And everywhere you look, there are incredible vistas of far-off horizons and sky-piercing peaks. 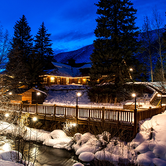 A great place to stay is the Winter Park Resort, Colorado's oldest continually-operated ski resort, with interesting shops and amusements, and 18 eateries from which to choose. And nearby are colorful Old West towns such as Georgetown (with the old-time Georgetown Loop Railroad) and Idaho Springs, where the main streets haven't changed since the 1800's. 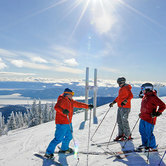 4 - SANDPOINT, IDAHO: Rand McNally/USA Today readers voted Sandpoint, tucked up in the Idaho Panhandle 40 miles from Canada, as the most beautiful small town in America two years ago. 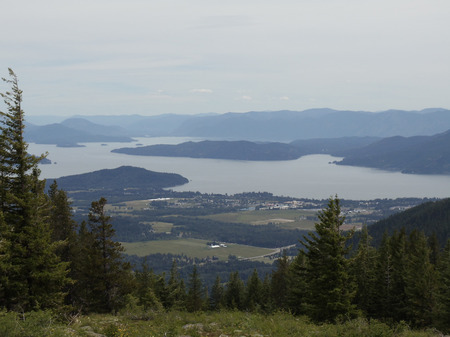 This is a classic old Northwestern town, sitting astride Lake Pend Oreille, with 148 square miles of fishing, kayaking, and boating among isolated little coves and inlets, with bald eagles circling overhead. Main Street is lined with wood-frame shops and galleries, along with a century-old classic theater and a colorful local landmark, the Common Knowledge Bookstore and Teahouse. 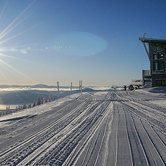 Places to stay range from the Schweitzer Mountain Ski Resort, an all-year resort village sitting atop the mountain of the same name; Sleep's Cabins, owned by the same family for generations, and perched on the shores of Lake Pend Orielle, where the sunsets will mesmerize you; and the Western Pleasure Guest Ranch, where, at night you can bunk down in authentic cabins filled with Native crafts or in the main lodge, which has a magnificent Great Room), and during the daytime you can ride amidst thick Northwestern forest with beautiful silence, and isolated herds of cows. 3 - BRYSON CITY, NORTH CAROLINA: This is a picturesque Southern town with a statue in front of the courthouse - which sits on the town square - and an eclectic collection of shops and restaurants. Among them is a local landmark called the N.C. Clampitt Hardware Company, at which you can find classic hardware and a whole lot more. Bryson City's the home of the Great Smoky Mountains Railroad, which will take you through stunning old-growth forests and coves and meadows, and which has an interesting railroad museum at the old depot. In addition, this town's also the gateway to Great Smoky Mountains National Park, and close to the scenic Blue Ridge Parkway. The best place to stay is Lands Creek Log Cabins, a mountaintop hideout with beautiful log cabins with hot tubs on their decks. The cabins are built on top of a rushing creek, so you can fall asleep each night to the sounds of the creek right beneath you. 2 - ESTES PARK, COLORADO: This town sits a few miles from the entrance to Rocky Mountain National Park, which is filled with some of Colorado's highest peaks and most unusual wildlife (such as bighorn sheep). Main Street has interesting shops and galleries - and probably the best collection of ice cream shops of any small town in the West. 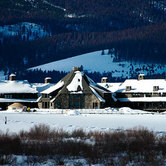 This is a four-seasons resort town, with plenty of outdoor activities in both winter and summer, and two great places to stay. 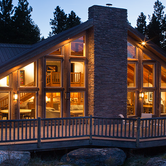 The Estes Park Resort sits right on Lake Estes, with a restaurant overlooking the lake, a marina with boat rentals right outside, horseback riding across the street, and a homey, woodsy ambience. And The Stanley Hotel - built in 1909 by Freelan Oscar Stanley, inventor of the Stanley Steamer automobile - is a white mountain lodge overlooking the town, Victorian on the outside and Western on the inside, with a reputation for "ghostly" nighttime visitors who've checked in, but never checked out...among them Mr. and Mrs. Stanley! 1 - COEUR D'ALENE, IDAHO: Coeur D'Alene is cobbled sidewalks and gas-lit streetlamps and green awnings and red-brick storefronts, behind which lie attractive little shops, eateries, and galleries. It sits on an ice-blue alpine lake with 125 miles of shoreline, from which rise 7,000-foot mountains covered in deep-green forest. 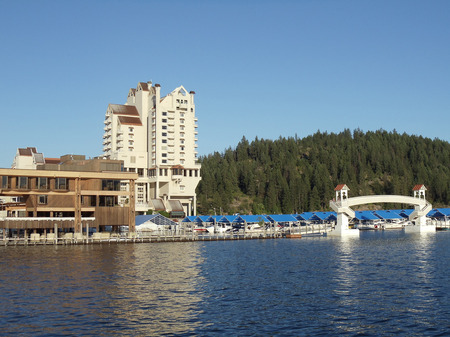 Jutting out into Lake Coeur D'Alene is Tubbs Hill, a rocky, forested peninsula offering stunning views around every turn. People come here to hike, rock-climb, picnic on ledges overlooking the lake, row, sail, canoe, or kayak, with bald eagles flying overhead. A half-hour from town is "The Route of the Hiawatha," a long-abandoned railroad track through a series of tunnels and 1,000-foot high wooden trestles, now one of America's most unusual mountain-bike routes. 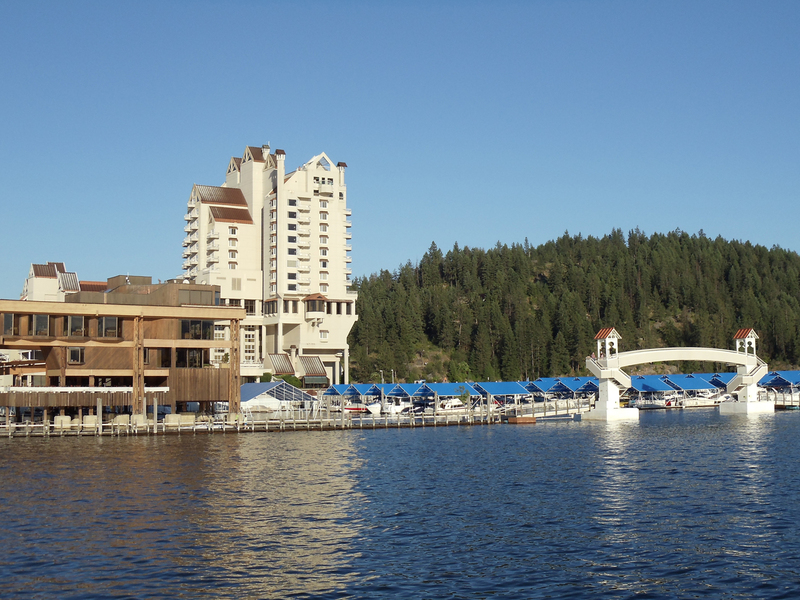 Back in town, the Coeur D'Alene Resort sits at the foot of the lake. The resort has luxurious guestrooms (many with spectacular views), three good restaurants and an elegant bar, and, a float-plane service operating from its dock, along with lake-cruise boats. And it boasts a golf course (accessible by mahogany boat) with the only movable floating green in the world. Well, there you have it - my Top 10 Mountain Towns in America. You folks probably have your favorites, as well. So let's hear about them...let the debate begin!! !